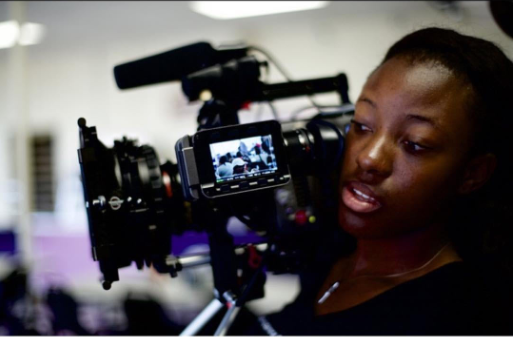 Jalea’s filmmaking journey has been one of facing fears, taking chances and overcoming obstacles in her way. It started as soon as she went to a university that didn’t have a full-fledged film school yet. She made the best of it anyway, taking away important lessons she picked up in theatre classes that she would later use in directing her actors. Despite finding writing to be the most difficult part of the filmmaking process, she went ahead and, with the encouragement of writing friends, put together the script for her newest narrative short, Things With Feathers. This story of a young girl dealing with the internal trauma of being sexually assaulted only happened after some key advice from a major producer (who she still works for to this day) made her realize that she owed it to herself and the world to tell this story. Jalea joins Miniflix today to talk about the film’s thoughts on religion and psychology, how she funded her first major project and the way one scheduling inconvenience led to a breakthrough. Miniflix Interviewer: I see that you’ve had your hand in a lot of different production jobs. Editing, camera, producing, etc. Did you always want to direct, or did that happen as a function of learning from all these different aspects of production? Jalea Jackson: It came more as a function of learning the other jobs. I actually didn’t want to direct, or at least not narrative films. I sometimes struggled to communicate with the actors and articulate myself as well. But my first love was, and still is, editing. That’s what I came into LSU wanting to do. But we had to take a class where you direct a short film. So, from there, I decided that if there were certain stories I wanted to tell, then I might have to direct those. Miniflix: Can you talk about your history with the Nate Parker Institute? First, what is it? Then, how did you get involved? Finally, what is your role there currently? Picture of students in the HBCU Storytellers Project. Jalea: It’s still a fairly new program. I think we’re going into our fourth year. It started when I saw The Birth Of A Nation at Sundance…and I found out that Nate [Parker] was doing a panel discussion the next day. I got a chance to ask him a question about how to tell a story that you want to tell that may not be popular or perceived as important by the vast majority. And he essentially said that you have to tell the story that you want to tell and find that target audience. So fast forward to the end of that year. I’m working with my mentor, Joshua Overbay who says that I should apply for this new institute in July that Nate’s foundation has put together. I found out that I’d missed the deadline…but I found that they’d actually extended the deadline. I became one of the first 30 inaugural students to join the program. 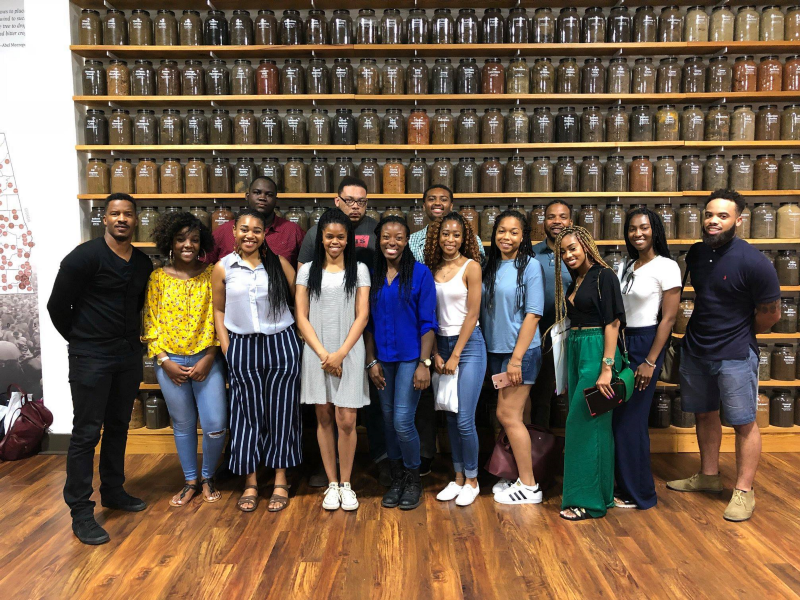 Essentially what happens is that you go to Wiley College in Marshall, Texas… first, you learn about African culture and the history of African-Americans. Then you get to the film aspect. They bring in industry people from L.A., New York, all over really, to teach you about producing, directing, writing and more…then you do a 72 hour film fest. You have to write in a day, then shoot and edit a film in 48 hours. This gives the students a chance to learn from the people in the industry, get an intense program and then implement that as they continue their time at college or even after graduation. So now I’m still working with them. I’m in charge of all their media, doing everything from organizing the footage to associate producing some of the docs. M: What is the genesis of Things With Feathers? J: I remember one of my mentors from the Nate Parker Institute speaking to either another mentor or another student, and he said “If you’re sitting on a story you’re unwilling to share, then you’re actually being selfish.” That whole idea sparked me going on to produce and write this project. Things With Feathers is loosely based on events that happened in my life. And I like to emphasize loosely here…. To be honest, I don’t write as much. I prefer to be behind the scenes, editing or directing. But I think just hearing that and realizing that so many people deal with sexual assault and are survivors of it gave me the power to tell this story through film. M: You choose to open the film with these idyllic, swirling shots. What was the inspiration for using the camera in this way? Especially in contrast to the seriousness of the subject matter later on? J: Moonlight came out not too long before I started writing. That was definitely an inspiration. I remember telling my DP, Daniel Waghorne: “I want Moonlight shots.” I always love the idea of long, moving takes, even though, as an editor, I like to have a ton of different options…but I wanted to express the playfulness of the children and establishing that, on the outside, this was a wholesome, jolly family. Even though in reality, a lot of time what we see on the outside is not what’s really going on. M: What was the budget of this film and how did you go about funding it? J: The expected budget was about $10,000. Idella Johnson, who played the mother character Safia, was one of our executive producers. We did a little with crowdfunding too. I’m still learning how to market that and how to post and when to post. Some of it also came out of my pocket and my mom helped contribute. As far as the equipment… some people would donate or give us a lesser rate. All of that definitely helped. M: This film has a complicated relationship to religion. It both evokes the power of spiritual imagery (and the power of family it creates), but it also shows its great capacity for covering up or conspiring in evil acts. Were you attempting to be ambiguous on religion here, or were you intending us to walk away as skeptics? J: I grew up in the church, am still a Christian now and still go to church. But when it comes to the black church, or even the black community, we are often weary of getting other help besides just praying. That outside help could mean medicine or seeing a psychologist… I didn’t want to necessarily evoke my religious beliefs here, but I wanted to give someone who is already in the church another outlet to seeking help. And to also show that we sometimes have faults from within the church where we just focus on one aspect of mental health. M: This film goes back and forth between dreams and reality (or sometimes feeling like both at once). Were you ever worried that the transitions wouldn’t be convincing? What did you plan or prepare for in your shooting and editing to make them as seamless as possible? J: I actually didn’t even think about that. I did a little test showing with my sister and some of her friends who don’t really have any film knowledge…In my head going into this, I knew I didn’t want anything crazy with effects. I wanted to keep everything natural. M: And I really liked how you didn’t fall for any of the cliches typically associated with going in and out of dreams. J: In particular with the scene at the church and the running through the sheets, I wanted to show that while Aaliyah is getting prayed over, her mind isn’t there with them. So I wanted to have the audience go through what she is thinking in that moment in the church. It’s funny, because I remember my sister asking why after Aaliyah screams and opens her eyes it isn’t daylight or she isn’t back in her bed where she first had the dream… for me, I wanted to show that the healing process really had just begun for her. Honestly, though, to answer your question: I never thought much about the transitions. I just knew I wanted a surreal moment for the audience. M: The last scene of the film seemed particularly difficult to shoot and to edit. How was it trying to shoot at night. Was some of it done on location and some of it in a studio? J: The beauty of being an editor-director is that you’re already seeing it in your head and from there you already know how you want to shoot it. But, fun fact: Idella was in another play at the time of shooting, so we had to work around her schedule alot. Originally, she was supposed to be with the rest of the family members, pulling and twisting Aaliyah. But in the end she couldn’t make that night shoot. So just from going through the days, shooting and talking with the actors and thinking things through, we realized that Safia had a completely different role and different mindset from the other characters. So she really wouldn’t be in that tug-of-war with her daughter. Instead, she’d be trying to help her and holding out her hands. So her scenes weren’t shot in another studio, but in a different location. But in the end, I think having Safia in a different environment and atmosphere showed her different mindset from the rest and showed that she was the one person Aaliyah could count on, her one ally. Because many times with children who were sexually assaulted, they don’t feel like they have that person they can go to. M: Well, the choice definitely worked. Having Safia separate from the rest of the cast really worked thematically. That’s an example of a happy accident. J: Yes, it all ends up working out. M: What is your favorite short film? Why? J: I actually have two favorites. The first is Ingrid Silva’s The Journey. I love this one because it’s a silent film that’s captivating in the way it tells the story of a professional ballerina. It’s shot mostly POV style. And I love the color palette. The second is called For The Position of Abdelhalim Hafez’s Girl. I like this poetic, surreal piece. I used this piece to get inspiration on how to shoot and edit the scene when Aliyah falls in the church and lands in the sheets. To learn more about the Nate Parker Foundation and see how you can apply to be part of a future summer film institute, visit https://nateparkerfoundation.org/.